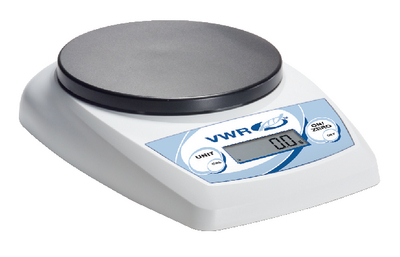 These portable, compact scales are an economic option for the lab. The molded stacking ring and load cell lock protect the scales from damage. Weighing units include grams, ounces, and pounds. The screen includes indicators for stability, overload, underload, and low battery. Accessories information: An AC adapter is available separately. Ordering information: One-year manufacturer's warranty is included with purchase. The scales include three AA batteries.